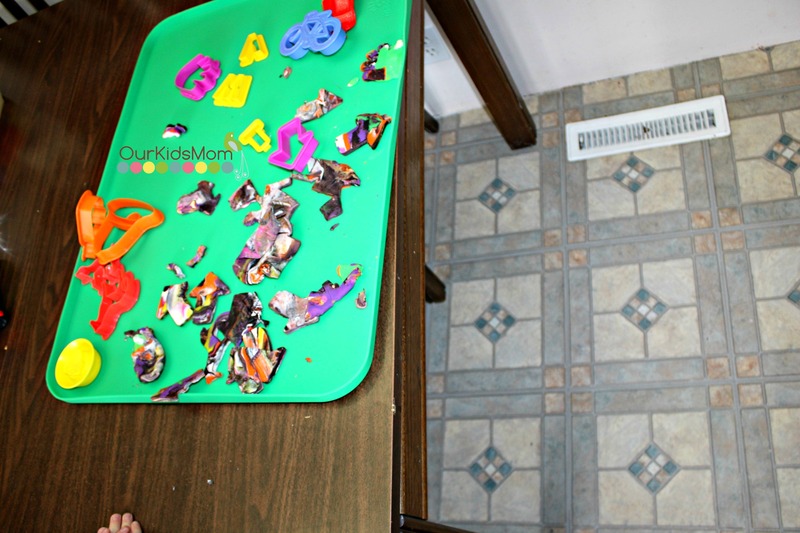 I love arts and crafts, and growing up I always figured that the messier the better. However working at a daycare and having mess and chaos in my everyday life I have found that as I get older the more I hate mess. With 3 kids it’s hard to say it, but I actually hate Play Doh. The mess, the Play Doh that sticks to everything, including socks that is then spread through my house and into my carpet. Glitter, OMG don’t even get me started with crafts that include glue and glitter (unless it’s at someone elses house). I recently came across a company called Little Bean Creations that has a product called Messmatz. They claim that it will make you “Say Yes To The Mess”. Well I decided to say yes to reviewing these and putting them to the true test. I let my 2 year old play with Play Doh. 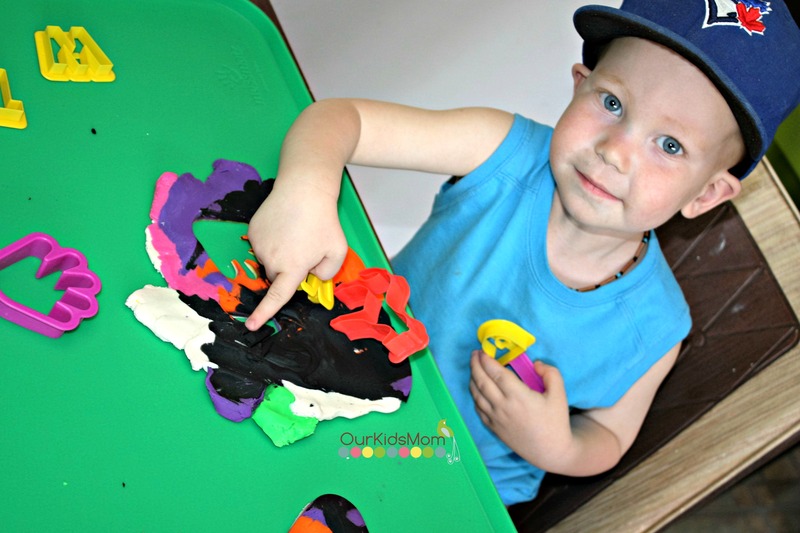 I tried to stay open minded and grit my teeth as I brought out the Play Doh. I did leave the room as I knew I couldn’t bare to watch the mess happen, coming in a few times waiting to see the Play Doh explosion all over including the floor. Each time was a surprise to see that it hadn’t happened yet, then I heard the wonderful sound of “mom I all done”! As I stood him up to brush him off, I was shocked to notice he didn’t have any crumbs on him, even my floor was spotless! 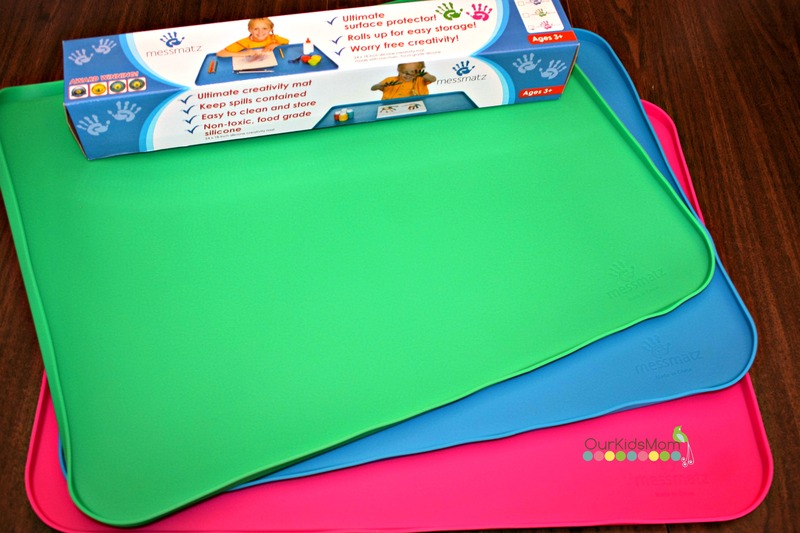 Messmatz is a large 24 x 18 inches non-toxic silicone mat. There is just enough of a lip around the edge to catch all those messes that always manage to get brushed into your child’s lap and onto the floor. Being made from silicone the Messmatz roll up nice and compact for easy storage. These come in 3 bright colors including green, blue, and pink. 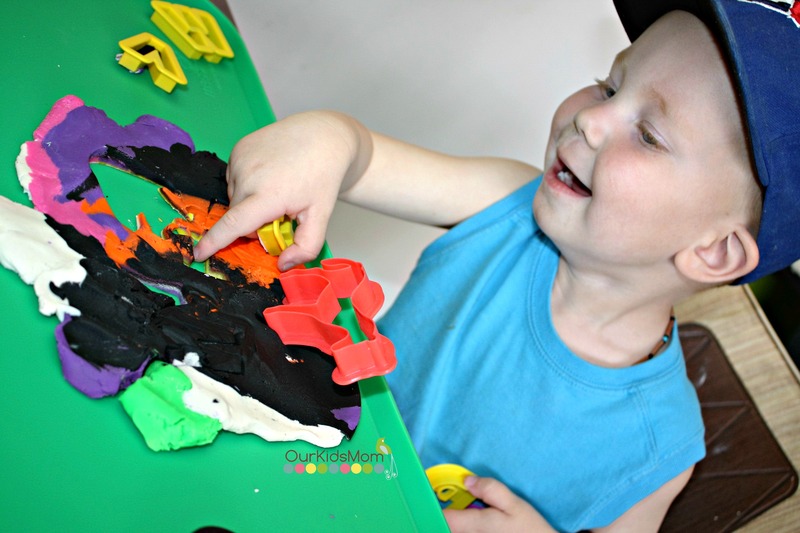 I can honestly say having the Messmatz has opened my eyes to a better way to allow my kid to enjoy their arts and crafts and for me to sit back and know that clean up will be easy. 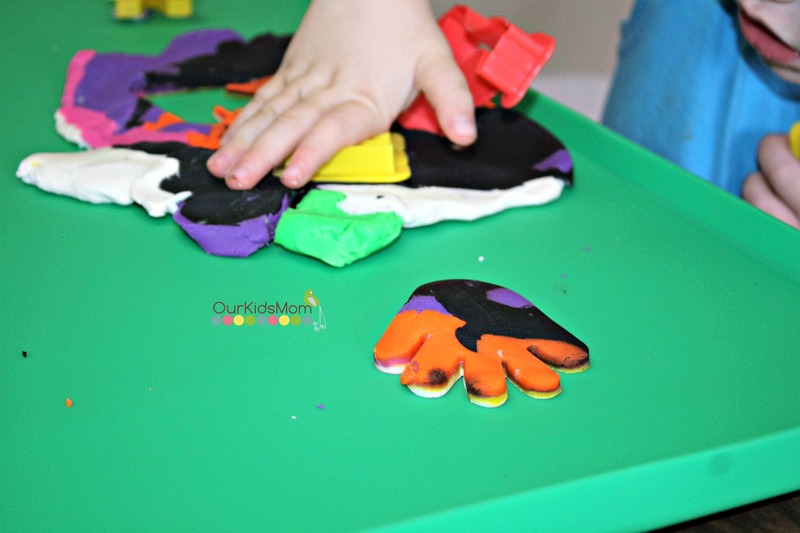 If your child likes to paint, glue, use glitter, play Play Doh, or even help you bake these Messmatz are a must for in your house. I will be showing these to my boss at Daycare and suggesting some for a less stress crafting time. Head over to http://littlebeancreations.com/and get one for yourself or a couple for your house. These mats are awesome! I love the fact that they have edges unlike other mats I have used!